Photo courtesy of Black Sheep Podcast. However, anyone who’s had dealings with Sawant, the first socialist elected to the council, knows that’s just not her personality. She’s actually quite soft-spoken, albeit passionate in her beliefs. Instead of yelling and calling other council member names, the former Seattle Community College economics professor, went about working on the proposal that helped get her elected: passing a $15 minimum wage for the city of Seattle. On Monday the $15 minimum wage became a reality in Seattle. 15Now, the organization that Sawant’s closely identified with, spearheaded by several of her campaign workers, had a victory party Friday night. For Sawant, like a Charles Dickens novel, Monday was the best of times and worst of times. 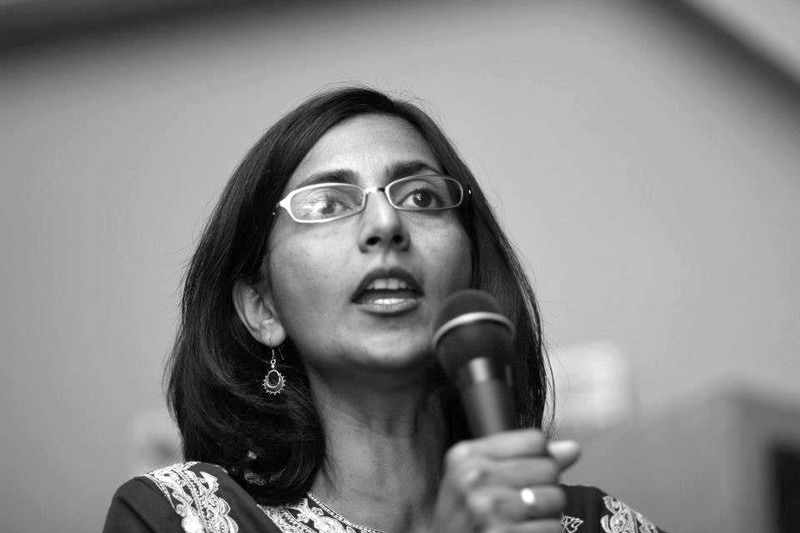 The first-term Council Member, who grew up in India, moved to Seattle and became a socialist in 2006, should have been basking in her victory. But the council added some late provisions that weren’t even agreed upon in Mayor Ed Murray’s often contentious Minimum Wage Committee (which included representatives from labor and management but no actual minimum wage employees). So there was Sawant, dismissed as a fringe candidate when she announced her run for office and called “too hard left for Seattle” by the Seattle Times, who wouldn’t work well with others, looking like the adult in the room. Sawant, along with progressive council member Nick Licata, made three amendments to strengthen the bill. The amendments attempted to remove a lesser training wage for teenagers and the disabled; prevent tips and health care from being included in the $15; and to move the starting date of implementation from January 1 to April 1. The reason given for the latter was that another minimum wage proposal might wind up on the ballot and be voted in—highly unlikely now. All three proposals were voted down. However, the crowd still cheered when it became official. Later, the progressives in the audience and the moderate City Council members had cake and ice cream together in City Hall Plaza. Despite the jabs the Council took at the proposal, Seattle has the highest minimum wage in the country—by over $5/hour–although it’ll still be phased in over several years. For the last five months, Seattle has had a socialist on the City Council. The sky hasn’t fallen, we haven’t been attacked by locusts, and the city hasn’t fallen into the Puget Sound. But we did raise the minimum wage.